Life in rural Kaolack is extremely difficult; often, families come to the city in search of opportunity. But in the city, too, basic infrastructure and services are not available to everyone. These circumstances endanger the healthy development of children. Kaolack, capital of the region of the same name, is a city of roughly 200,000 inhabitants situated in western Senegal, just to the north of The Gambia. The region is often referred to as the “peanut basin” as much of the local economy is based on the trading and processing of peanuts. Unfortunately, Kaolack is also notorious for being one of Africa’s most polluted cities. There is no system of garbage collection in place and clean water is not available to all. There are large rubbish dumps on the outskirts of the city, and the stench can be unbearable, particularly in the summer months. This also leads to regular outbreaks of diseases such as malaria, yellow fever, and cholera. Prostitution is legal in Senegal for women over the age of 21. They must register with the police and hold a valid sanitary card, which shows that they carry no sexually transmitted diseases. They must have regular check-ups at a health centre, where they also receive free condoms. These measures have helped to keep HIV infection rates relatively low in Senegal, as compared to other countries in the region. However, there are also many girls below the age of 21 who work as prostitutes. These young girls do not benefit from any of the services provided by the Ministry of Health, since their activities are illegal. They are thus particularly vulnerable, putting themselves and their clients at greater risk of contracting diseases. Overall, the Kaolack Region has one of the highest levels of poverty in the country, with up to 60 per cent of the rural population living in conditions where their basic needs are not met. The economy of Senegal has grown over the past decade, but the life of subsistence farmers is as tough as ever. Economic and social infrastructure is not sufficiently available, and young people often feel there is a lack of opportunity for them in the countryside. But it is precisely the younger generation that needs prospects for the future in order to contribute to the long-term development of the country. The work of SOS Children’s Villages in Kaolack focuses, on the one hand, on providing assistance to families so that their stability is not endangered by precarious socioeconomic conditions. In cases where parents are no longer able to look after their children, we provide a secure and loving home for these children. Another important facet of our work here focuses on supporting young people in their transition into adulthood. 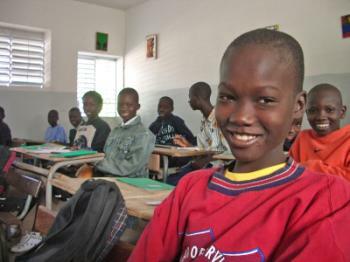 SOS Children’s Villages began its work in Kaolack in 1983. The SOS Social Centre here offers family strengthening programmes to the local community. One of the main goals is to ensure that children have access to essential material, educational, health and social services. The programmes also support families from the local community in building their capacity to care for their children, for example by providing guidance on income-generating activities and parenting skills. In addition, the SOS Social Centres provide health services, counselling and psychological support, as well as care and support for families affected by HIV/AIDS. 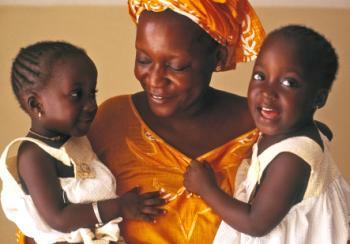 The SOS Medical Centre here in Kaolack is run as a mother and child clinic. It provides general medicine, paediatric care, and obstetrics to around 200 patients from the community each day. Another important function of the medical centre is providing preventive care, such as vaccinations, to the local population. The children attend the SOS Kindergarten together with children from the neighbourhood. This ensures that children from SOS families make friends and are integrated into the local community from a young age. The children then go on to complete their primary education at the SOS school, which is attended by up to 600 pupils.